I find it hard to believe that six months have gone by since I started NJ Arts Maven blog! I want to take this opportunity to thank all my readers, the venues sending me information about their events and my patient husband for helping make this blog a success. Who’d have thought I’d get 23,000+ hits in that half year! Thank you to all of those who commented. I published all of them! Please let me know your thoughts if you have attended events I’ve posted about. Subsequent readers get a feel for what other readers think about these events. Thanks for reading my reviews. Since my print outlets dried up last summer, the blog has been my vehicle for publishing my reviews (which I have been doing since 1996!). A favor: Besides continuing to read NJ Arts Maven (and subscribing to receive free updates each morning), please let the box offices know that you heard about their events from NJ Arts Maven. They like to know where their patrons come from and have learned about them, and it gives me increased credibility too! ONLY 3 WEEKS LEFT TO CATCH A NOIR THRILLER IN LONG BRANCH! Playhouse 22, East Brunswick’s Community Theater, is accepting show submissions from directors for the 2011-2012 season. Submissions should include a copy of the show script; a cover letter with contact information, a brief summary of show that is no more than one page long; a theatrical resume, including letters of recommendation; potential staffing needs and dates available, as well as scheduling conflicts related to directing a show from September 2011 through summer 2012. Please submit shows that are better known for larger and more diverse audiences. Playhouse 22 will be considering a potential “Black Box” type series of smaller shorter-run shows that may be performed on the theater’s regular stage. These shows should be smaller shows that are not necessarily well known, but “experimental” in nature. More information is available by e-mail at submissions@playhouse22.org or by phone at 732.254.3939. TICKETS: $12 and are available at www.Playhouse22.org. For more information, please call the Box Office at 732.254.3939. Playhouse 22 in East Brunswick will be launching its “On The Edge Series” with the production of As Bees in Honey Drown by Douglas Carter Beane and directed by Amy Levine. As Bees in Honey Drown is the story of Evan Wyler, a twenty-something New York writer savoring the success of his debut novel. Defined by the media as the “hot, young, thing-of-the moment,” Evan captures the attention of Alexa Vere de Vere, a blackclad woman of mystery who’s made the world of celebrity her home. In fact, it’s her religion. 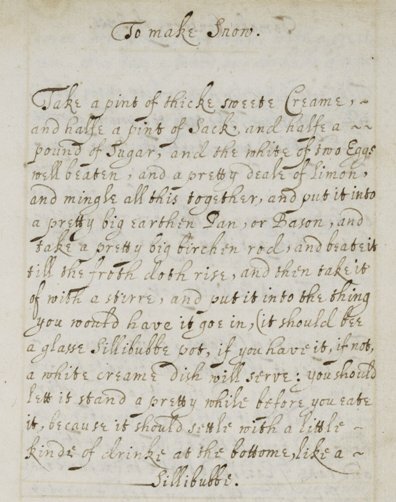 A RECIPE FOR SNOW CONES FROM 1610! While this recipe has nothing to do with cultural events, it is appropriate for the snowy weather conditions we are experiencing here. Perhaps President Obama, a big fan of something they call “shave ice” in Hawaii, would find it tasty! Not his daughters, though, for it contains alcohol (sack)! The plot of Inge's comedy drama is less one story than a series of short stories: the fight between a husband and wife; the fear of an overly shy young girl going to a dance; the problems of an introverted little boy who feels that the whole world, including his family, is against him; the outwardly peaceful and inwardly corroding marriage of Cora's rowdy sister; the tragedy of a military school cadet whose mother has never provided him with a real home. "What Inge is saying, with a power and tenderness of speech, is that there is dark at the top of everyone's stairs, but that it can be dissipated by understanding, by tolerance, by compassion and by the brand of companionship that demands not conformity but love..."
Any questions or for directions, please call the theatre at 973.328.9202. I normally don’t post about events in NYC, but the performers involved are Montclair residents and are quite active in the community. Recent NJ events have included performances at SOPAC, MAYO Center for the Performance Arts, WAE/JSDD Jewish Service for the Developmentally Disabled and the upcoming December 7 New Providence schools concert/residency. Regarded as the founding father of the modern frame drum movement, four-time Grammy Award-winning percussionist Glen Velez performs a wide-ranging, virtuosic program of original music drawn from jazz, classical, blues and cultural traditional from around the globe. The TA KA DI MI Project is comprised of percussion legend Glen Velez and rhythm voice master Lori Cotler performing original compositions derived from music of the Mid-East, Central Asia and the Mediterranean region. TA KA DI MI represents the primal rhythm cycle of four beats, which leads the mind from the mystical realm of numbers and into the sublime world of music and sound. Velez and Colter are joined by percussionists Shane Shanahan (an original member of the award-winning Silk Road Ensemble) and Yousif Sheronick (a member of Ethos and a regular collaborator with the Lark Quartet). The first half of the program will include Velez’s groundbreaking classic, Doctrine of Signatures, the first composition for frame drum ensemble of its kind that uses the Glen Velez Handance Method of stepping, vocalizing and drumming. Influenced by John Cage, the pioneer of chance music, Doctrine echoes Composed Improvisation for One-Sided Drum with or without Jingles (1989), a work written by Cage exclusively for Velez. Trio Globo has been blending jazz and world music since 1993. Having crafted a totally original voice in contemporary acoustic jazz, the group’s musicality has been cited as “inventive, instrument-stretching, genre-busting.” (Journal Sentinel) Comprised of Grammy Award winning musicians, the members of Trio Globo are true originals, re-inventing their instruments in new music both personal and global. With roots in jazz, classical and sacred music, the ensemble’s rhythmic influences derived from travels in six continents. Program highlights include tracks off of their new CD “Steering by the Stars,” their first full-length recorded album in almost 15 years. COLBERT & LUNA STAGE: PERFECT TOGETHER! Stephen Colbert, the multiple-Emmy Award-winning host of Comedy Central's satirical The Colbert Report, will trade his traditional comic persona for a dramatic role when he performs in a special reading of Harold Pinter's Betrayal to benefit Luna Stage. Colbert, whose TV series has been acclaimed as "the best show of the year" by both The New York Times and Entertainment Weekly, will appear in the three-person reading, along with his wife, Evelyn McGee Colbert, and actor Jay O. Sanders. The reading will be directed by James Glossman. Pinter's Betrayal, which premiered in 1978, is widely regarded as one of the British Nobel laureate's greatest dramatic works. Inspired by Pinter's own clandestine extramarital affair, it follows the seven-year affair involving a married couple, Emma and Robert, and Robert's close friend Jerry, who is also married. It's one of mankind's oldest stories, but told through an innovative reverse-chronology structure, moving backwards in time from 1977 to Jerry's first drunken declaration of his feelings for Emma in 1968—always letting the audience draw its own conclusions about ethics and morality. Need a Great Holiday Gift for a Special Someone? Adults are not neglected at the Morris Museum. Here is a list of programs and workshops related to current exhibitions, for adults, in January 2011. For more information and to reserve your space, please call 973.971.3720. Join Maria Lupo (MFA, MA-ATR, Registered Art Therapist), Healing Arts Coordinator for Atlantic Health, to create a Heart Mandala to reduce stress, relax and unlock the unconscious. 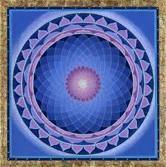 Mandala is a Sanskrit word, describing a concentric diagram which represents the universe. Explore this ancient archetype using a variety of art materials, which will be provided. Please call 973.971.3720 to reserve your space. Create a fashionable pair of new leather gloves with Frederica Johnson, adjunct professor in the design program at County College of Morris. No experience is required. Participants will use soft leathers and a hand leather needle to make the gloves. Materials will be provided. Participants may bring their own threads or decoration for use in the design. Pre-registration is required. Please call 973.971.3720 to reserve your space. The Morris Museum is home to the Murtogh D. Guinness collection of mechanical musical instruments and automata (mechanical figures). Visit the permanent installation of the spectacular exhibition Musical Machines and Living Dolls: Mechanical Musical Instruments and Automata from the Murtogh D. Guinness Collection, and take a journey through the history of on-demand musical entertainment. Live demonstrations Weds.-Sun. at 2 PM. Long before CDs and iPods, amazing musical machines created unique musical performances. Journey back in time with staff from the museum’s Guinness Collection to experience these musical performances as they were heard in the 1700s and early 1800s. Participants will enjoy a live demonstration of rare, early mechanical instruments playing tunes from the age of Mozart. Reservations are required. Please call 973.971.3720 to reserve your place. The Morris Museum offers a variety of fun and enriching workshops for children and families in January and February. Stop by any time during the session to participate in these workshops. Pre-registration is not required unless noted. Adults must accompany children. For more information, please call 973.971.3718. Join museum educators to create your own work of art. Drop-in anytime during the session to participate. Families are invited to drop in and participate in hands-on science workshops. Children will be introduced to the scientific method as they conduct experiments and observe the results. Children (under 17): 7:00 PM on Sunday, January 9 & Monday, January 10. Adults (17+): 8:00 PM on Sunday, January 9 & Monday, January 10. Callbacks will be on Sunday, January 16 starting at 2:00 PM. PERFORMANCE DATES: Fridays and Saturdays, May 6–21 with one Sunday Matinee on May 15. Gypsy is based on the 1957 memoirs of Gypsy Rose Lee. In mid-1920’s to mid-1930’s America, the story focuses on Gypsy Rose Lee’s mother, Rose, whose name has become synonymous with “the ultimate show business mother.” Rose concentrates on her talented younger daughter June, leaving older, less talented Louise in her sister’s shadow. When June tires of being controlled by her mother and runs away, Rose turns her attention to Louise. In the midst of the Great Depression when vaudeville shows are dying, Rose pushes Louise to become a stripper where she finds her talent and becomes Gypsy Rose Lee, the famous striptease artist. Rose: (40–55) Strong acting skills and movement required. Should be a strong mezzo. Louise: (20–30) Needs versatility to portray awkward teen and the sophisticated woman she becomes as Gypsy Rose Lee. Dance required. Vocal versatility required. Dainty June: (18–28) Strong actor with a quick sardonic whit. Strong dancing skills required. Strong vocals with a high belt. Herbie: (40–55) Mild-mannered actor. Dance not essential. Baritone. Tulsa: (18–28) “boy-next-door type.” Charming. Dance skills essential. Bari-tenor. Baby June: (10-13) must look young. Pretty/cute and fake. Child belt. Strong acting and dancing required. Baby Louise: (10–13) must look young but older than June. (June’s less talented but older sister. Strong actress with ability to sing and dance. American Idol watch out! Young stars from Englewood will dazzle the stage with their musical talents at the 6th Annual Englewood Idol, a fundraising event for the Dr. John Grieco Scholarship Fund. Englewood Idol brings together Englewood students from four area high schools: The Dwight-Englewood School (DE), Dwight Morrow High School (DM), the Academies @ Englewood (AE), and Bergen Catholic High School (BC). Auditions for Englewood Idol were open to any high school student living in, or attending school in, Englewood, NJ. More than 30 students auditioned and eleven talented semi-finalists were selected: Erica Butler (DE), Dasia Capers (DM), Ty Charles (BC), Ginamarie Enriquez (DE), Taijun Haskins (DM), Shaquille Hobson (AE), Aliyah Mangan (AE), D’Asia Morrisey-Floyd (DM), Liahshea Nicolas (DM), Brian Park (DE) and Oscar Zapat(DM). The show also features “Englewood’s Best Dance Crew,” a competition between dancers representing Englewood’s three high schools. Dwight-Englewood English Teacher and Dance Club Advisor Vicky Frankel lends her choreographic talents to this competition, making the show a collaboration between both students and staff at the participating schools. START OFF THE NEW YEAR WITH A SERIES OF GIGS @ THE STATE THEATRE IN NEW BRUNSWICK! It’s the National Tour with a live orchestra! This is Footloose, Grease, and Happy Days all rolled into one! With more than 24 Elvis hits, All Shook Up kick starts a chain reaction of romances and rebellion through the power of rock ‘n roll music! It’s a square little town until a motorcycle ridin’, guitar playin’, and hip swivelin’ hunk rides in and has everyone jumpin’ out of their blue suede shoes. Rock out with “Jailhouse Rock,” “Heartbreak Hotel,” “One Night With You,” “That’s All Right,” “Don’t Be Cruel,” “A Little Less Conversation,” “Burning Love” and so many more. Gabriel Iglesias, the high-octane standup comedian from Long Beach, CA, has been selling out venues and winning over audiences from around the country with his ability with voice effects and impressions, and his an uncanny knack for storytelling. The “fluffy” comedian now takes on NJ in his State Theatre debut! Iglesias has appeared on The Tonight Show with Jay Leno, Comedy Central’s Premium Blend, and HBO Comedy Minutes. He has also made appearances on Showtime’s original series, Resurrection Blvd, VH1’s I Love the 80’s, and was one of the stars on the popular award-winning Nickelodeon show, All That. Gabriel’s one hour special “Hot and Fluffy” is currently being aired on Comedy Central. He is preparing his next one hour special for Comedy Central “2 Hot 2 Fluffy,” to be released in the fall. A national treasure for 27 years, the BFO and founder/conductor Iván Fischer, have represented Hungary in some of the world’s great concert halls including Zürich’s Tonhalle, New York’s Carnegie Hall, Los Angeles’ Hollywood Bowl, Tokyo’s Suntory Hall, and Paris’ Théâtre des Champs-Elysées. In the past 30 years, Fischer, known for his intense rehearsal methods, has conducted the likes of the London Symphony Orchestra, Los Angeles Philharmonic Orchestra, Berlin Philharmonic, Royal Concertgebouw, New York Philharmonic, Orchestre de Paris and the Munich Philharmonic, among others. The Shakespeare Initiative at Brundage Park Playhouse will be holding auditions for their next production, The Taming of the Shrew. WHEN: Monday, January 10, and Wednesday, January 12, 7–9 PM. One of Shakespeare’s earliest and most popular comedies, The Taming of the Shrew bursts with disguise, deception and devilment. Shakespeare gives us the improbably courtship of the fiery-tongued Katherina by the arrogant Petruchio. But unlike Shakespeare’s other romantic comedies, the play does not stop with the wedding. Shakespeare considers the institution of marriage, the rifts between men and women, and the rough journey toward love. 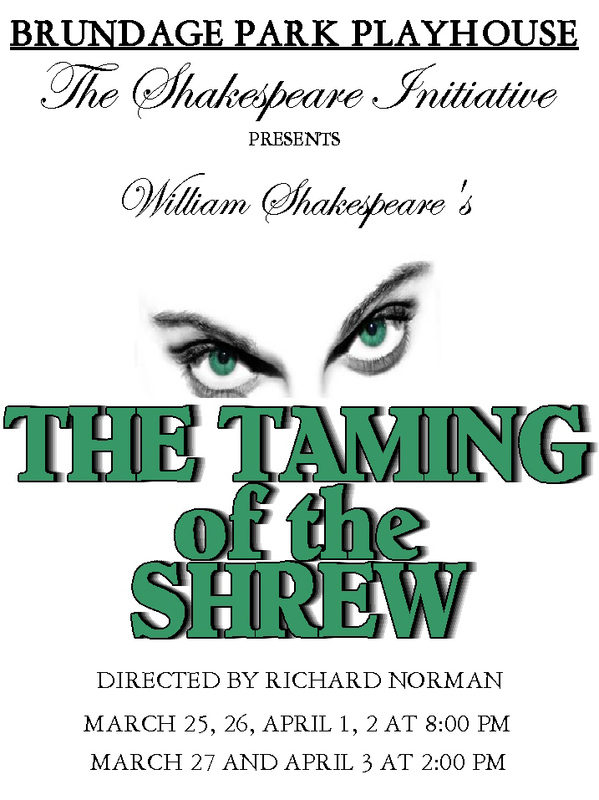 The Taming of the Shrew is a quintessential battle-of-the-sexes comedy! Auditioners are requested to prepare a Shakespearean monologue and bring a copy of their theatrical resume and a headshot or snapshot to the audition. Cold readings will be provided for those who do not have a monologue prepared. Please wear comfortable clothes as there will be a movement section to the audition. The production will include a lot of physical comedy. Are you a Beatle maniac? If you came of age in the sixties, of course you are! Here is an opportunity to “see” the Beatles and do a good deed at the same time. And Red Bank isn’t so far from north Jersey; it’s only 39 miles (and 50 minutes) down the Garden State Parkway from my house in West Orange. So, go! And you can still order tix for a holiday gift! As a kid, I was a whiz at spelling, probably as a result of my voracious reading. I lost a spelling bee in 5th grade when I stumbled on the word parallel; I have always remembered those two l's in the middle of the word! We need to send our kids the message that it’s cool to be smart; what better way to do so through a musical comedy at our esteemed Paper Mill Playhouse in Millburn? Craving a fun, musical comedy to sweep you up in the action and keep you laughing all the way home? Then this story of six quirky competitors and three oddball adults in search of spelling bee glory is the show for you. The 25th Annual Putnam County Spelling Bee was nominated for six Tony awards and won two: Best Book of a Musical and Best Featured Actor. David Finkle of Theatremania described the show as "a treat and a half," but one of the songs in the show says it best: "If you like to laugh, if you like to spell, you'll like this competition very well." "We are thrilled to welcome a superb cast to Paper Mill Playhouse," said Producing Artistic Director Mark S. Hoebee. 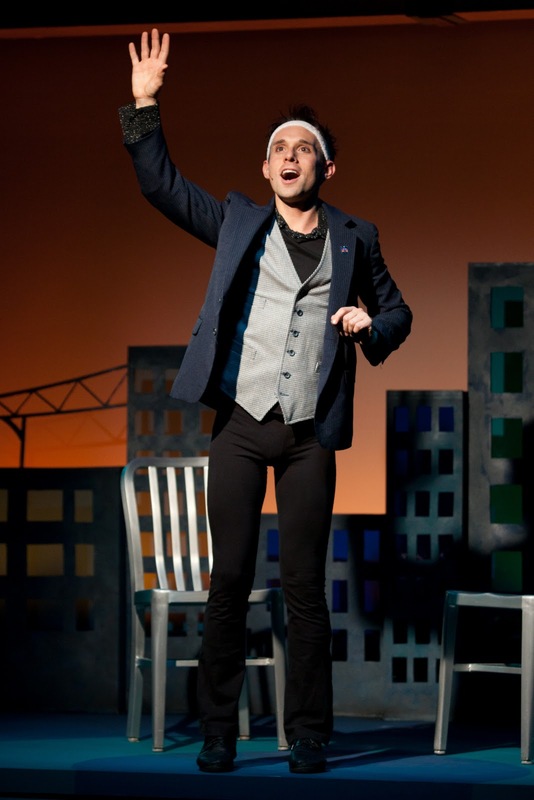 "This clever, heartwarming musical demonstrates that it can be cool to be smart. This production is sure to entertain people of all ages with hilarious antics and a magnificent score." WHEN: January 19–February 13; Wednesdays at 7:30 PM, Thursdays at 1:30 PM & 7:30 PM, Fridays at 8:00 PM, Saturdays at 1:30 PM & 8:00 PM and Sundays at 1:30 PM & 7:00 PM. Family Week is January 19 to January 23, and during this period children's tickets are half off the regular price (certain restrictions apply). This show is recommended for patrons 13 years and older. TICKETS: $25 to $92 (on sale now). Student rush tickets are $25 and are available the day of performance in person with current student ID. Tickets may be purchased by calling 973.376.4343, or at the Paper Mill Box Office on Brookside Drive in Millburn, or online at Paper Mill Playhouse's website: www.papermill.org. Paper Mill Playhouse gift cards, available in any denomination, can be purchased at the Paper Mill Playhouse Box Office. Visa, MasterCard, Discover and American Express accepted. Groups of ten or more can receive up to a 25% discount or more on tickets and should call 973.379.3636, extension 2438. Visit www.papermill.org for more details on Paper Mill Playhouse's Free Audience Enrichment Activities. 1 BAM! 2 CRACK! IT'S MAH JONGG MANIA! Bring friends and family for a day of festivities, including mah jongg games, craft activities, film screenings of The Joy Luck Club and Mah-Jongg: The Tiles that Bind, exhibition tours and more. 11 P.M. - 1 P.M. and 2 P.M. - 4 P.M.
All activities are free with purchase of Museum admission. Join the circus like you wanted to when you were a kid! famed solo circus performer Michael DuBois continues the Bickford Theatre’s acclaimed 2010-2011 Bayer Children’s Theatre Series. It’s a great antidote to holiday vacation cabin fever! TICKETS: $10 for the General Public, $9 for Museum and Guild Members, and $8 for groups of 20 or more. Please call the Bickford Theatre at 973.971.3706 or visit 24/7 at www.bickfordtheatre.org. All sales are final. There are no refunds or exchanges. Programs are subject to change or cancellation. All children require tickets. Michael DuBois has amazed sold-out crowds from coast to coast with one-of-a-kind circus stunts, getting the audience involved in everything from juggling seven balls at once to mind-reading and even unicycling! Amazing fun for ALL ages!! Funding for the series has been provided, in part, by Bayer Health Care, Consumer Care Division and the New Jersey State Council on the Arts / Department of State, a Partner Agency of the National Endowment of the Arts. HOURS: Tuesday, Wednesday, Friday, and Saturday, 10:00 AM to 5:00 PM, Thursday, 10:00 AM to 10:00 PM, and Sunday, 1:00 to 5:00 PM. In celebration of the winter holidays, the Art Museum will be closed December 24, 25, 31, 2010; and January 1, 2011. Looking for an indoor activity the whole family can do together? Faces and Feelings is a self-guided tour exploring expressive faces throughout the Museum and the artists who created them, from fierce Asian tomb guardians to smiling Remojadas ceramic figures. Like all of our family programming, this activity will provoke thoughtful discussion and help families of all ages interact with the art and each other. Performances: March 11–26 @ UCPAC; Friday and Saturday at 8 PM & Sunday, March 13, at 2 PM. Gavin Miller: 50-60s, has-been, disgruntled film writer, now teaching in a small town, mid-western college. A pretty good teacher, who’s an avid 1930-40s movie fan, but he wishes he was back in Hollywood . Becomes professionally interested in student who seems to be a potential film writer. Melanie Miller: 50-60s, wife of Gavin. She loves Gavin and likes their small town life and being in academia, wishing her husband would settle into being a teacher. Makes friends with neighbors and is suspicious of her husband’s relationship with the student. Jeremiah Collins: late teens or early 20s, a shy, slightly nerdy college student. Son of a missionary who plans to go into that field, but is crazy about movies, especially 1930-40s musicals. With Gavin’s help, he turns into a good film writer and becomes much more secure with himself. Sides are available by clicking or copying /pasting the link below into to your browser. This play has not been produced lately, and I can't figure out why. As I remember, it is a combination of comedy and drama, both very affecting. If you are an actor and are looking for something new to stretch your skills, you might want to research the play (watch the film) and then get on over to Dover to audition. SYNOPSIS: The plot of William Inge's comedy drama is less one story than a series of short stories—the fight between a husband and wife; the fear of an overly shy young girl going to a dance; the problems of an introverted little boy who feels that the whole world, including his family, is against him; the outwardly peaceful and inwardly corroding marriage of Cora's rowdy sister; the tragedy of a military school cadet whose mother has never provided him with a real home. "What Inge is saying, with a power and tenderness of speech, is that there is dark at the top of everyone's stairs, but that it can be dissipated by understanding, by tolerance, by compassion and by the brand of companionship that demands not conformity but love..."
The Chester Theatre Group and comedienne Kate Lyn Reiter's Humor in the Midst are ringing in the New Year with laughter. Starting on Saturday, January 22, 2011, Ms. Reiter will conduct an 8-week comedy workshop at the Black River Playhouse in Chester, NJ. Kate Lyn Reiter is a MFA Yale School of Drama graduate with 12 years experience as a comedienne in NYC. The sessions will run from 9:30 AM to 12 noon. The total cost is $195 (10 percent discount for mentioning the Chester Theatre Group). For information and registration, call 908.892.5458, or go to www.humorinthemidst.com. Additional eight-week sessions begin March 19 and May 14. The CTG's Black River Playhouse is located at the corner of Grove and Maple Streets in the borough of Chester, New Jersey. For more info visit http://www.chestertheatregroup.org/ . Seeking teens and young adults to portray high school students as well as adults for several other roles. All performers must sing. All portraying students must both sing and dance. These are unpaid positions. The remaining roles have already been cast. WHEN: February 25-March 6, 2011. If you are interested or know someone who is, call Director Joe Conklin at 201.941.6030. You know how much Sesame Street’s Oscar the Grouch loves trash? Well, that’s how much I adore language, which I guess makes me a logomaniac, “a person insanely interested in words,” and the title of the terrific—no, “tour de force” would better describe it—production, Paul Fleischman’s Logomaniacs, now receiving its world premiere at the Actors Shakespeare Company in Jersey City. A multitude of main characters populate this 90-minute gem of a play (actually 26, one for each letter of the alphabet), all of them real and all clearly insane about words. Several of these people you’ll recognize: William Faulkner (author of the longest sentence—1300 words on 5 pages), Georges Perec (writer of crossword puzzles), Robert McCormick (publisher of the Chicago Tribune) and Ludwig Zamenhof (creator of Esperanto), but most of them are obscure, as befits their particular obsession. Under Colette Rice’s dynamic and tight direction, four actors perform this wild language circus as just that, a circus, complete with a Ring Master, a beautiful girl in a brief costume and net stockings, and two male characters, all of whom do a yeoman’s job in a wide variety of roles ranging over five centuries. The result is a clever spectacle that will have you laughing out loud, make your jaw drop in wonder and provide you with food for thought. Timor Kocak (left) is terrific as the Master of Ceremonies, keeping the action moving along at a good clip and acting in some of the sketches himself. His droll facial expressions provide apt commentary on the antics onstage. Colin Ryan and Paul Sugarman quickly morph into a variety of characters, merely by adding or subtracting a piece of clothing, wig or hat, along with a change of voice and posture. And Jessica Myhr hits the ball out of the park playing both female and male characters with a sparkle in her eye. A VIDEO GAME CONCERT AT NJPAC! WHAT’S NEXT…? The first and highly successful video game concert in the world with music performed by SCH and NJSO. Don't miss this immersive event combining synchronized lighting, video, live action and audience interactivity. NO CLUE FOR WHAT TO DO FOR NEW YEAR’S? Plenty of suspects! Plenty of clues! Bring along your magnifying glass to this fun and interactive comedy murder mystery and be the first to solve the crime and win a prize! The evening consists of the murder mystery show and a delicious buffet dinner. All this for just $35 a person; tax and gratuity not included. The BEST New Year's Eve value anywhere! You are invited to the biggest New Year’s Eve/Birthday party ever. One of the richest men in the world, Mr. Lang Szign, owner of Szignmark Greetings, is throwing this bash. Since he has no family, at least none that he’s claiming these days, all his friends and employees are invited. Mr. Szign has stated he will make a big announcement tonight concerning Szignmark and its future. Join the top card-writer Hap P. Nuyeer and top artist Mitty Knight. Also Mr. Szign’s new wife of one month, Dee, will be there. There may be some unexpected guests showing up like Mr. Szign’s estranged daughter Sela who started her own company with her husband, who disappeared under mysterious circumstances. And what is Bippy the Clown doing there? There’s sure to be lots of excitement because Ringing in the New Year is Murder. But don’t worry if anyone gets out of hand; Security Bob, Szignmark’s top security guard is on duty tonight. PTNJ runs classes in theater geared to kids, teens & adults of a variety of ages. Here are their offerings for the coming new year. Register by February 18. Visit their website to register or call the Education Department at 973.514.1787 X21. FORUM brings playwrights, actors and audience members together to enjoy the creative process of bringing a play to life. Staged readings of 17 innovative new plays by some of the country's best writers with intimate discussions between author and audience following each performance. $10 per reading or get a FORUM Pass for $25 and attend all the readings. It's Las Vegas, 1951, and an unusual trio of women take a road trip to a sunrise picnic at the dawn of the Nuclear Age. Funny and relevant, JACKASS FLATS is a heart-warming story of survival in a time and place both mythical and real. Author Joe Sutton explores the tangled relationship between an author and his agent. Not based on a true story, or is it? Dani has a lot of love to give, and she gives it freely in this dark comedy by former SNL writer Ken Scarborough. In this one person show, Len Cariou, portrays a Holocaust survivor whose encounter with a German family after his release from the camps comes to define the essence of his life. An ensemble adaptation of Raymond Chandler's classic film noir tales of iconic private eye Philip Marlowe, amid the sun burnt, violent streets of 1940s Los Angeles. In a new version of last year's reading, and prior to its production at Merrimack Theatre in Massachusetts, this play takes place in the Coordinator for Parent Liaison's office of a donor insemination research program for "exceptional" children and their parents. Join your friends at Luna Stage for a special afternoon event filled with stories, songs, music and a festive holiday spirit complete with Santa Claus, cookies and punch! Music by The Hall Deckers! Professor Xu Xin—China’s foremost scholar on Jewish history and culture— will be giving a rare presentation on Jewish life in China at the Kaplen JCC on the Palisades, where he will be sharing his unique perspective of Jews and Israel through Chinese eyes. He is currently visiting the U.S. from Nanjing University. Are you curious about when and why Jews first settled in China? Did you ever wonder why the Chinese are so interested in Jewish history and culture? Do you know how many Jews from China are studying and living in Israel today? Come find out from Professor Xu Xin, who will address topics such as the history of the Jewish Diaspora in China; Judaic Studies and how it evolved in China; Chinese policies towards Judaism and why the Chinese are so interested in Jews. The program is co-sponsored by the Judaic and Senior Adult Departments at the JCC. To Celebrate Elvis Presley’s 76th Birthday! To celebrate Elvis’ 76th birthday, the State Theatre presents the national tour of the Broadway musical All Shook Up. With more than 24 Elvis hits performed with a live orchestra and singers, All Shook Up kick starts a chain reaction of romances and rebellion through the power of rock ‘n roll music! Joining the birthday festivities before the start of the 8 PM performance will be Elvis impersonators and immediately following the show, free cake will be served in the downstairs theater lobby to all ticketed patrons. Combining all-time favorite Elvis hits with a whole new story full of hilarious twists and turns, All Shook Up is surefire fun for rock ‘n’ roll rebels of all ages. It’s Footloose, Grease, and Happy Days all rolled into one zany story. This isn’t an Elvis tribute show… it’s better! It’s a square little town until a hip-swivelin’, guitar-playin’ roustabout kick starts this high energy retro musical that will have everyone jumpin’ out of their blue suede shoes. A young mechanic named Natalie dreams of escaping her quiet Midwestern life. When a tall, handsome, motorcycle ridin’ stranger with blue suede shoes on his feet and a guitar strapped to his back (Chad) rides into town in search of a mechanic, Natalie falls instantly in love with the new stranger, but he won’t give her the time of day. So Natalie disguises herself as “one of the guys” to get closer to him. But Chad only has feelings for the shapely Miss Sandra who runs the local museum. Mistaken identities and outlandish who-loves-whom mix-ups ensue, and the town suddenly bursts to life and creates a feel-good story of crazy love triangles with laugh-out-loud comedy. For tickets or more information, call the State Theatre ticket office at 732.246.SHOW (7469), or visit online at www.StateTheatreNJ.org. The State Theatre ticket office, located at 15 Livingston Ave, New Brunswick NJ, is open Monday, Tuesday, Thursday, Friday, 10 AM to 6 PM; Wednesday 11 AM to 7 PM; Saturday 1 PM to 5 PM; and at least one hour prior to curtain on performance dates. For information on group outings and discounts, call 732.247.7200, ext. 517. The State Theatre, a premier nonprofit venue for the performing arts and entertainment. The theater exists to enrich people’s lives, contribute to a vital urban environment, and build future audiences by presenting the finest performing artists and entertainers and fostering lifetime appreciation for the performing arts through education. The State Theatre’s programs are made possible, in part, by funding from the New Jersey State Council on the Arts/Department of State, a Partner Agency of the National Endowment for the Arts, and contributions from numerous corporations, foundations, and individuals. Continental Airlines is the official airline of the State Theatre. The Heldrich is the official hotel of the State Theatre. Magic 98.3 is the official radio station of the State Theatre. The Star-Ledger is the official newspaper of the State Theatre. I have been unable to catch A Christmas Carol at the Chatham Community Players this year (vacation and then an awful cold), but I have been reviewing this production for 13 years. They have been performing this version for 22 years. Based on my past experience, this year’s production is as wonderful as past efforts. This is a treat for the entire family. And you can do it without paying tolls, parking and hefty ticket prices! January will “sizzle” in Hackettstown when the Centenary Stage Company 2011 Jazz in January series returns with a line-up of big band sounds and some of the world’s best musical entertainers. January 22: The “ultimate entertainer” Bobby Caldwell, with his 14-piece big band, is back on the Centenary Stage by popular demand. Tracing a 25-year history from acclaimed soul stylist to in-demand pop and R&B songwriter, Caldwell is considered one of the most revered vocalists and songwriters in contemporary music today. As a singer, he has a successful career with numerous solo releases which have earned him accolades. Drawing from his vast repertoire of R&B, smooth jazz stylings, and big band songs, Caldwell enjoys a vast popularity, from Japan to Las Vegas, selling out shows and achieving gold and platinum status for his releases. January 29: One of the most compelling big-bands ever, The Artie Shaw Orchestra, brings the series to a rousing conclusion on. Dubbed “the king of swing” after his hit, Begin the Beguine, Artie Shaw was thereafter renowned for his innovative combination of instruments. This power-house big band, “rechristened” by Shaw himself in 1983, has accompanied Tony Bennett, Jack Jones and Buddy DeFranco. The band was featured at the Newport Jazz Festival, and they have toured worldwide. TICKETS: A special subscription rate for all three jazz events is $80, which may be purchased as a gift certificate for the holidays. Individual tickets are also available. Tickets for Three Tenors and a Baritone are $22.50 in advance and $25 at the door. Tickets for Bobby Caldwell are $35 in advance and $40 at the door. Tickets for The Artie Shaw Orchestra are $30 in advance and $35 at the door. Tickets are available through the Centenary Stage Company box office at 908.979.0900, and online at www.centenarystageco.org. “Jazz in January “ is made possible through the leadership of CSC Board Chair Ed Coyne and Coyne Enterprises. The Centenary Stage Company is a not-for-profit performing arts series dedicated to serving as a cultural resource for audiences of the Skylands region, with professional music, theatre and dance events and arts education programming throughout the year. The “Jazz in January” series is made possible through the generous support of many local businesses, including Heath Village Retirement Community (the CSC 2010-11 “Platinum Sponsor”), Skylands Community Bank, Panther Valley Pharmacy, and Hackettstown Regional Medical Center. Year-round performances at the Centenary Stage Company are made possible through the generous support of the Geraldine R. Dodge Foundation, the NJ State Council on the Arts, The Mariott Residence Inn, The Tierney Foundation and CSC members and sponsors. Dreamcatcher Repertory Theatre, professional Theatre in Residence at the The Baird in South Orange, will present a new adaptation of Maplewood resident Jan Slepian’s book ASTONISHMENT: Life in the Slow Lane in January. Slepian (left) resides at Winchester Gardens and has had a long and celebrated career as the author of books for children and young adults. Most recently, her work includes a column in the retirement community’s newsletter. These columns, previously collected into a book, are making their debut as a theatrical presentation. A cornucopia of reflections on aging with humor and grace, this hour-long performance comments on the astonishment of being old, the heartbreak and comfort of companionship in later years, and the ridiculous moments in everyday life. It is at once bittersweet and insightful, and laugh-out-loud funny. ASTONISHMENT is a collaboration between Dreamcatcher Repertory Theatre in South Orange and The Theater Project at Union County College in Cranford. The play has been adapted by Dreamcatcher’s Artistic Director Laura Ekstrand and will be directed by Artistic Director of The Theater Project, Mark Spina. Presented in honor of Slepian’s 90th birthday, the play will run at Dreamcatcher on Saturday, January 15 (SOLD OUT), and and Sunday, January 16, at 2 PM, and at The Theater Project on January 21 at 8 PM and January 22 at 3 PM. Breaking into show business isn’t for the faint of heart. Given the myriad of obstacles faced by the character Randall Klausner in Eric Weinberger’s one-man musical, And Then I Wrote a Song about It, most people would give up and go to work in the family business. But Randall is nothing if not an optimist with a capital O, an admirable trait that gets him through failed auditions, uncomfortable interrogations by his German-immigrant (and successful sausage importer) father and a variety of low-level jobs that barely pay the rent. Add to that his homosexuality—and the fact that this is the early 80s when gays stayed in the closet and AIDS is gaining a foothold in the gay community—and you have what could be a recipe for disaster. That Weinberger (and his composer Daniel S. Acquisto and lyricist Sammy Buck) and director Igor Goldin avoid bathos is a testament to his writing skill and a barometer of how far American society has come on such matters. The song—or songs, to be precise—in question aren’t very good; they certainly won’t be included in the Great American Songbook or make the Top Forty. But they effectively chart the personal and professional journey taken by their composer Randall over the course of two years, from New Year’s Eve 1979 through New Year’s Eve 1981. And the fact that they are performed by the talented and vivacious Nick Cearley makes And Then I Wrote a Song about It a deliciously delightful piece of musical theater. Kudos go to Luna Stage for choosing to give it a World Première as the second production in their new home. Cearley’s Randall calls himself a “professional optimist,” and he has to be one to get past the curve balls life throws at him. Tired of working at his father’s company’s office, he quits to pursue his career, taking a series of low-level (and sometimes short-lived) jobs to pay for rent and dance lessons. With his big, wide eyes and innocent look, Cearley conveys Randall’s extreme naivété about life; he doesn’t even know a that bank loan has to be repaid monthly! Too, he’s not only set his heart on making it in show biz, but he seeks love in the gay bars he goes to nightly, only to be disappointed when his “date” won’t stay for breakfast the next morning and doesn’t call for a second date. He’s not a very experienced performer either; he tells Chemical Bank loan officer Lydia Alvarez that he’s in an Advanced dance class when it’s really “Advanced Beginner,” and he blows an audition for A Chorus Line by almost falling off the stage. AN INTELLECTUAL FREAK SHOW IN JERSEY CITY! CHARLOTTE SPINS HER WEB @ TWO RIVER THEATER CO.
MAMA DONI SINGS WITH HER BAND IN WHIPPANY FREE!